Epionce Renewal Facial Lotion Review (2018): Is It Worth Buying? Epionce Renewal Facial Lotion Review : Ingredients, Side Effects, Detailed Review And More. What Is Epionce Renewal Facial Lotion? This product is brought to you by Epionce, a skin care label that first rose to fame with its highly commendable Lytic Gel Cleanser.The brand was founded by a skin doctor who strongly believed that beautiful skin begins with healthy skin. As such, the products bearing this label are mostly free from toxins, such as parabens, and are mostly recommended for use by people with sensitive skin. However, most of its merchandise are known for being overpriced. 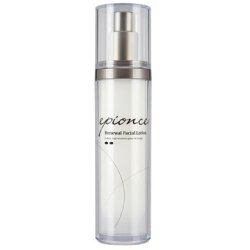 Epionce Renewal Facial Lotion, US $94 for a 7 fl. oz. bottle, is a lightweight moisturizing formula that moisturizes, delivers anti-aging benefits, and helps correct damages on the skin matrix. Epionce Renewal Facial Lotion – Does It Really Work? Significantly improve your skin’s moisture content. Soothe and calm skin irritations and other early manifestations of inflammation and aging. Improve your skin’s texture while tightening up the structure to help counter saggy skin. Smoothen the appearance of wrinkles and improve the presentation of other visible signs of skin aging. Shield your skin from future damage as your skin’s youthful health and radiance are revived. What Are The Ingredients In Epionce Renewal Facial Lotion? Meadowfoam Extract: Bring back your skin to its ideal moisture content while also speeding up the rate of healing and rejuvenation. Rosa Canina Fruit Oil: Delivers the healing powers your skin needs to amp up and speed up the rates of repairs, regeneration and turnover. Safflower Seed Oil: Improves your skin’s moisture while also supporting the restoration of your skin’s optimal hydration functions that keep your skin from drying out and becoming more prone to damage and aging. Beeswax: Improves your skin’s moisture content by trapping in moisture without blocking proper oxygen circulation that helps restore your skin’s idea; health status. Date Fruit Extract: It deeply moisturizes your skin as it delivers powerful antioxidant that have protective as well as reinvigorating benefits to your skin. But it may also cause allergies. Epionce Renewal Facial Lotion is recommended for application on freshly cleansed and toned skin up to three times daily. Epionce Renewal Facial Lotion is designed and formulated to deliver multiple tasks to promote skin that feels younger and visibly more youthful. This product has a lightweight consistency that allows the formula to penetrate skin more deeply but, may cause skin allergies. Given its light, easily absorbent feel on your skin, this product should be suitable for use by people with normal, combination or, oily skin types. This product is so much more expensive than other face lotions that are comparative to this product. Epionce Renewal Facial Lotion reviews indicate how this product may perform differently on different people. Does Epionce Renewal Facial Lotion Have Any Side-Effects? Skin irritation and allergic reactions due to several ingredients, including butylene glycol and botanical ingredients. Increased risk for cancers due to PEGs. Epionce Renewal Facial Lotion will definitely provide a deep moisturizing and soothing feel and should satisfy a user’s need if the most pressing concern is aging prevention or chronic dryness. However, this product’s formula gives little reason to believe that it can deliver noticeable improvements to skin that has already been damaged due to natural aging but also due to internal and external factors that damage your skin. So we would suggest you to keep researching about perfect facial lotion.